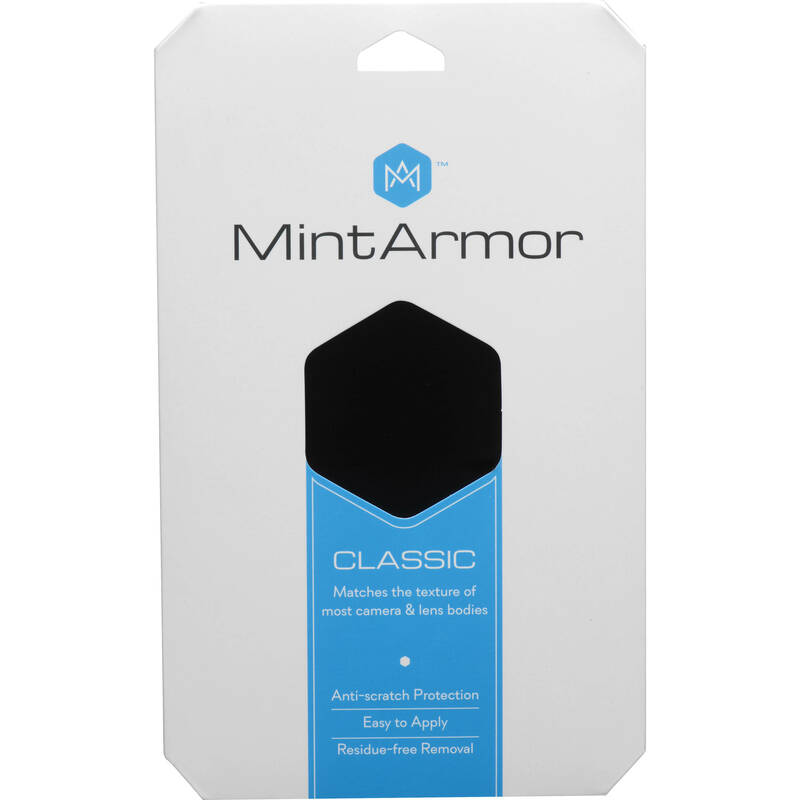 Protect your camera from minor bumps and scratches, hide logos, and add some flair with the black Classic Camera Covering Material from MintArmor. A thin material with a semi-matt surface for improved grip, MintArmor is easily cut-to-size, and adheres with a residue-free adhesive for easy removal. Your MintArmor comes with two 8.3 x 5.8" sheets. Photographers may download and upload templates of various popular cameras, as available on the manufacture's website, or cut sheets to their own specifications. 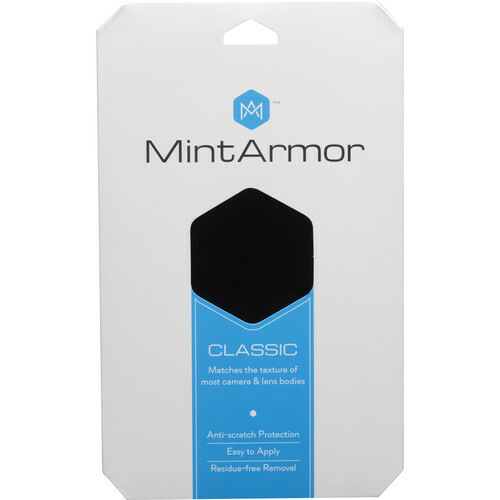 MintArmor can be used to protect cellphones, tablets, and other gear as well. Box Dimensions (LxWxH) 9.7 x 5.9 x 0.2"